Tura Beach op-shop coordinator Corinne Nicolson says the shop has been overrun with donations for the last twelve months. Photo: Supplied. The Australian Salvation Army reports that during their peak donation period this year, January-February, they experienced an 18 per cent increase on the previous year of donations – and store managers are putting it down to the Marie Kondo effect. A worldwide movement led by Japenese tidying expert Marie Kondo has meant thousands of people are going through their garages, cupboards and storage units and keeping only what ‘sparks joy’ – throwing out, giving away or donating everything else. The effect can be seen locally, too. 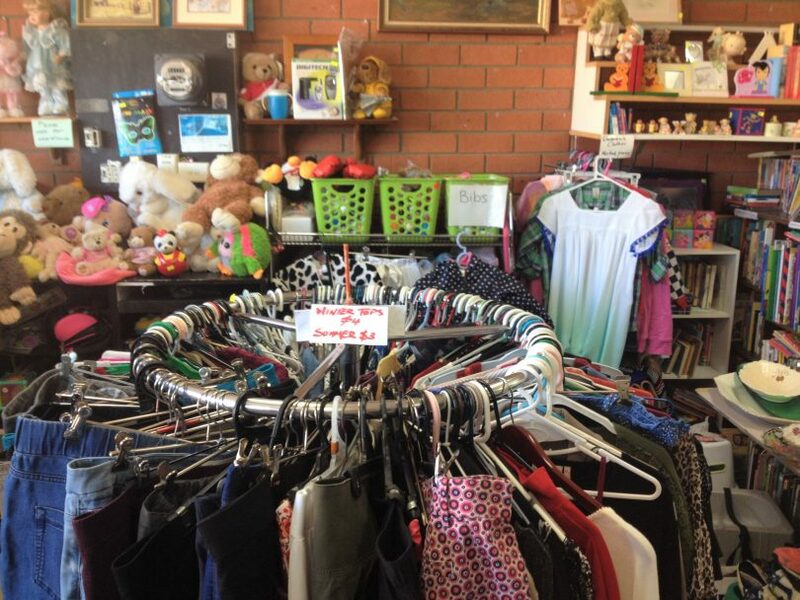 Just before Christmas the small op-shop, which is operated by Merimbula Uniting Church, began refusing donations because they just couldn’t take anymore, Corinne says. 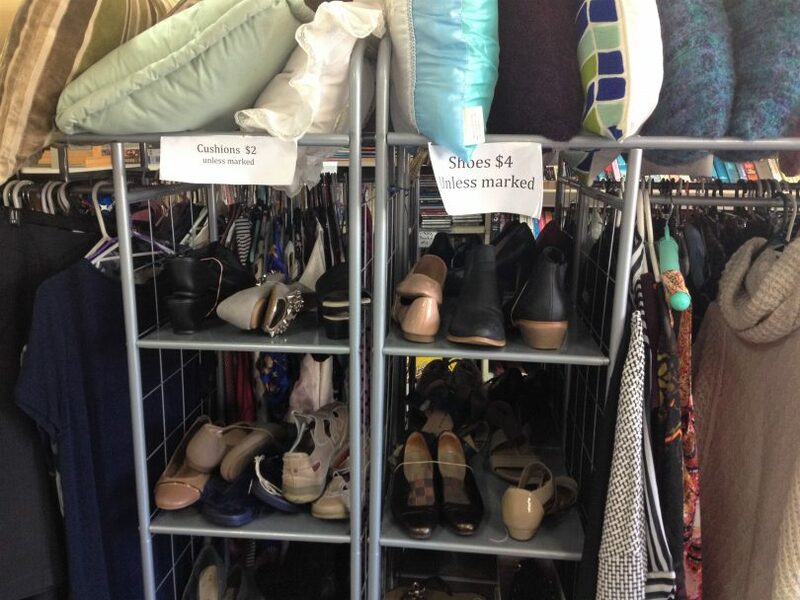 Many op-shops are reporting an increase in donations of brand new, unworn shoes and clothing with tags. Photo: Elka Wood. Aife O’Loughlin, customer experience manager for the Australian Salvation Army, says that it’s not just the amount of donations that’s changing. Although Corinne says that the shop gets “lots of rubbish” in with donations – similarly The Salvation Army – volunteers report an increase in the amount of good-quality donations this year. Marie Kondo teaches that keeping things because they are expensive or sentimental does not serve anyone and it is better to only keep what you can use and what you truly love, which may explain the sudden rise in the quality of donations. The Marie Kondo effect is only adding to an upward trajectory in the second-hand industry. While many big stores such as Big W and Kmart are announcing store closures, Ms O’Loughlin says that The Salvation Army is expanding. 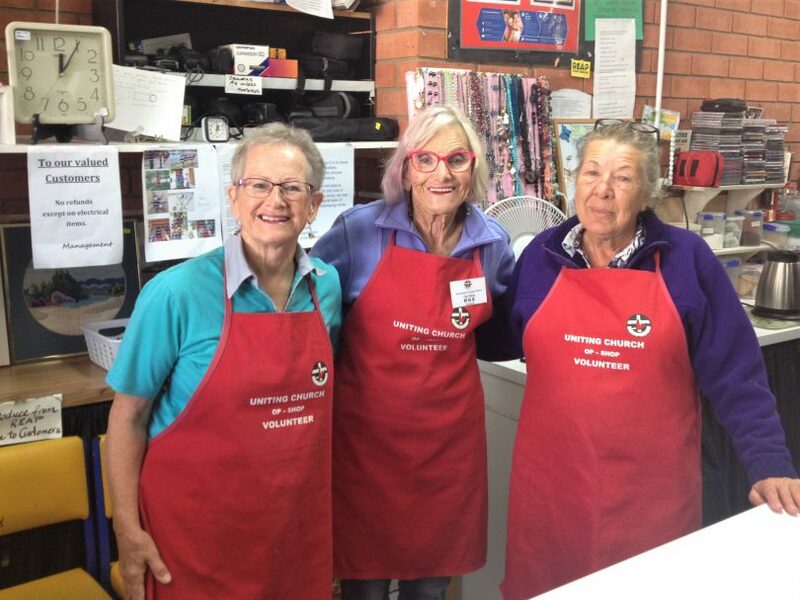 Iris Ballard, Ros Williams and Glennis Carey are all longtime volunteers at Tura beach Op-Shop. Photo: Elka Wood. However, the expansion of the second-hand market is directly connected to the purchase of new goods and means that consumption, in general, is on the rise. But those who have the time and inclination can score a bargain at op-shops and feel good about re-using commonly purchased items like gift bags, plastic containers, and magazines. Iris Ballard, one of Tura Beach Op-shop’s 52 volunteers, recalls buying in-flight stockings new at a chemist when she first began volunteering at second -hand shops and then finding a box full of in-flight stockings out the back. 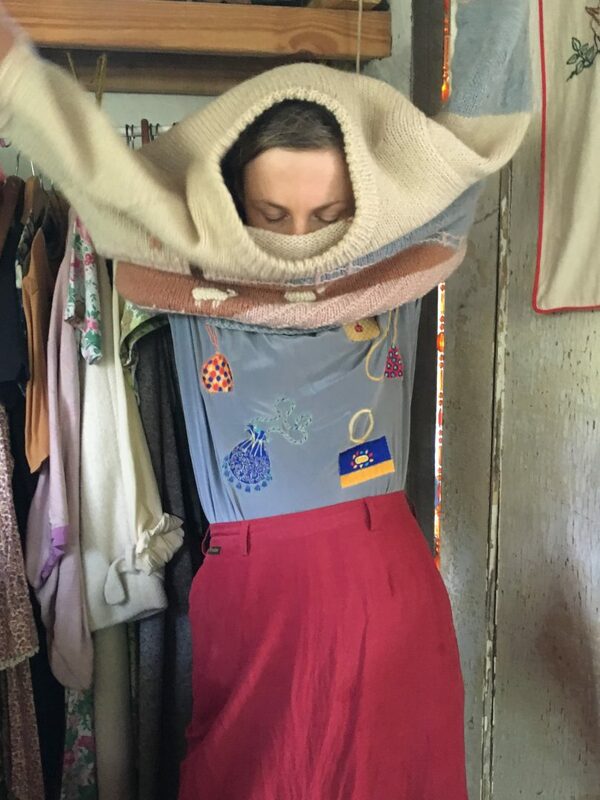 Sierra McManus, of Brogo, shops exclusively second-hand. Wool jumper- Eden Anglicare, Silk Shirt – Pambula Op-Shop and skirt – Bower Bird Op-Shop in Cobargo. Photo: Nick Whittock. Indeed, as Corinne explains, the second-hand shopper is evolving. Sierra McManus of Brogo shops exclusively second-hand for herself and her four-year-old daughter – enjoying the thrill of the hunt, the atmosphere of op-shops and the knowledge that she is not directly supporting questionable overseas clothing production. Tura Beach Op-Shop has solved the problem of too many donations and not enough storage by sending up to 1500 kg at a time to remote communities in the outback. “We’ve had requests for black and white clothes for funerals, plastic flowers for graves and evening dresses for young girls to wear to formals,” Corinne says. The Salvation Army continues to encourage donations. Please make sure donations made to any op-shop are clean and in good condition. For more on the second-hand industry, check out the 2019 ThredUp report.